The woman was found safe on Thanksgiving, but questions remain unanswered. A California woman who went missing in early November is now safe at home with her family after she was found on Thanksgiving Day, but the details surrounding her disappearance and alleged abduction remain unclear. Here’s what is known about the case. Sherri Papini, 34, was reported missing on Nov. 2 after she went for a run at approximately 2 p.m. local time and didn’t return home. The mother of two, she was last seen wearing a pink top and jogging alone on Sunrise Drive in Redding, California, according to a poster that was distributed in the search effort. Her family has described her as a “super mom,” and her absence sparked concerns when she did not pick up her young children from child care that day. Her husband, Keith Papini, said he got a text from her at 10:37 that morning, asking whether he was coming home for lunch. A $50,000 reward was offered to anyone who could provide information leading to her whereabouts. “She has a family that loves her. Please just bring her home,” her sister, Sheila Koester, told ABC News in early November. Earlier this month, Keith Papini said he traced his wife’s cellphone using an app that tracks lost phones and found the device on the side of a road where she normally runs. Authorities found Sherri Papini’s earbuds and strands of her hair during the search. But no other evidence or new information turned up after the initial search on the night she was reported missing. "Into the next day, our search and rescue teams were there with K-9s, and no new evidence turned up other than what we have with the cellphone, earbuds and a few strands of hair,” Bosenko told reporters on Nov. 11. (Courtesy of Sherri Papini's family) Keith and Sherri Papini. He did not specify the nature of her injuries. Papini was released early Thursday morning by her captor or captors on a rural road in Yolo County, about 150 miles from her home, Bosenko said. “She was bound with restraints but was able to summon help from a passing motorist,” he told reporters. In an interview on ABC News’ “Good Morning America” today, Bosenko described Papini as “very emotional” after authorities found her and when she was reunited with her husband. Papini was interviewed Thursday by detectives from the major crimes unit of the sheriff’s office. Bosenko said on “GMA” that he is hoping to gain additional information on the vehicle to help identify the abductors and bring them to justice. 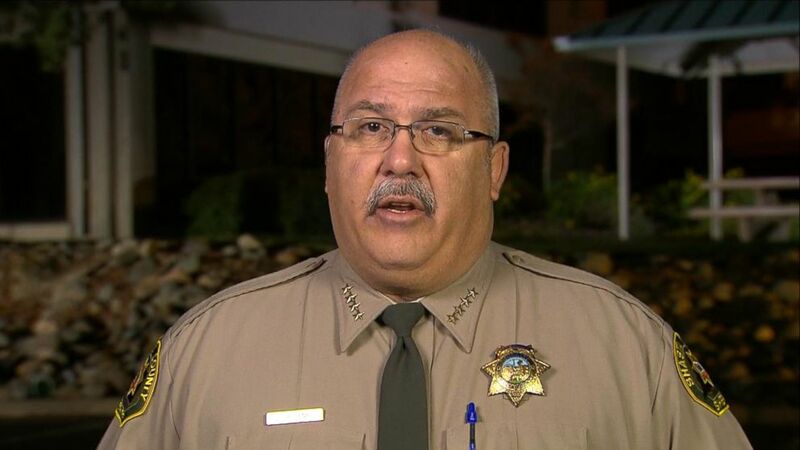 (ABC News) Shasta County Sheriff Tom Bosenko appears on "Good Morning America" after missing California mom, Sherri Papini, is found. The sheriff said police corroborated information that Keith Papini was at work at the time of his wife’s disappearance. He has maintained that she was taken against her will. ABC News’ Enjoli Francis, Sabina Ghebremedhin, Cameron Harrison, Anthony McMahon and Nicole Pelletiere contributed to this report.